It is not the critic who counts; not the man who points out how the strong man stumbles, or where the doer of deeds could have done them better. The credit belongs to the man in the arena, whose face is marred by dust and sweat and blood; who strives valiantly; who errs, who comes short again and again, because there is no effort without error and shortcoming; but who does actually strive to do the deeds; who knows great enthusiasm, the great devotions; who spends himself in a worthy cause; who at the best knows in the end the triumph of high achievement, and who at the worst, if he fails, at least fails while Daring Greatly…. We agility competitors ask a lot of our dogs. We take our dogs into strange environments in the middle of a sea of dogs and people that are exhibiting all kinds of emotions and ask them to perform at their best at a times that we dictate. Many times, we arrive at the trial, unload our stuff, put the dogs in their crates and then leave them there while we attend a trial briefing. After the dog has been in the crate for awhile, they are suddenly pulled out – sometimes in the middle of a nap – warmed up, walked through a gauntlet of strange dogs, and asked to run as fast as they can through an agility course with strange people close by (judges and ring crew), strange equipment, all kinds of buzzers (timers), and amplifiers (judges calling gamblers points), and then put back in their crates and left there again. Repeat up to 5-6 more times that day. At many trials, dogs and people are crated very close together and we don’t always have a choice of where we crate just because of what space might still be available when arrive. Some dogs are barking and/or lunging in their crates; others are nervously quiet in theirs. Some dogs are walking around their crating area unleashed. Sometimes a competitor may have an overly excited dog that is lunging at the side of the ring while another dog is running a course. There may be dogs that are over-the-top tugging close by. The occasional thunderstorm can add to the tension. Dogs are walked back to their crate by frustrated and mad handlers. (Hopefully this isn’t you!) People may be yelling at their own dog – or even someone else’s dog – to be quiet. People may also be worried about their last run, nervous about their next one, or upset by something someone said to them without thinking. Or maybe they’re having a bad weekend and down about that. Or having a great weekend and excited about it. At National and World events, the emotions can run even higher – creating even more stress on the dog. Suddenly what was normally considered a great run at a weekend trial with one little mistake isn’t good enough because “if only we had(n’t) done this we would have placed”. At the end of the day, we take them away – sometimes to another strange place if the trial is out of town – and they are expected to handle all the strange sounds and things happening at the hotel overnight before returning to the trial site once again in the morning. We ask a lot of our dogs. I submit that they Dare Greatly for us at every trial. Not all dogs can handle the typical trial environment. They may be able to do agility as well as any dog at a typical trial, but the environment at the trial is too much for them. They might also be fearful, distracted, or have a lot of anxiety. Agility is a great outlet for them to exercise, have fun, and work through some of these emotions. I personally have seen some of these transformations and I find it inspiring. I am a big proponent of VALOR, the Virtual Agility League, for these reasons. These dogs deserve recognition for their agility skills as much as any other dog. They too are Daring Greatly for us to the best of their ability. Any dog can participate in VALOR – even those that attend traditional trials on a regular basis. VALOR is also a great venue for older dogs, young dogs just starting out, or teams that just want to have fun practicing in a supportive environment. It is a video-taped venue and you can practice the course and then send in the video tape of you running it clean to be judged. The trial environment is controlled and there is no one in the ring except the dog, handler, and the person doing the video tape. 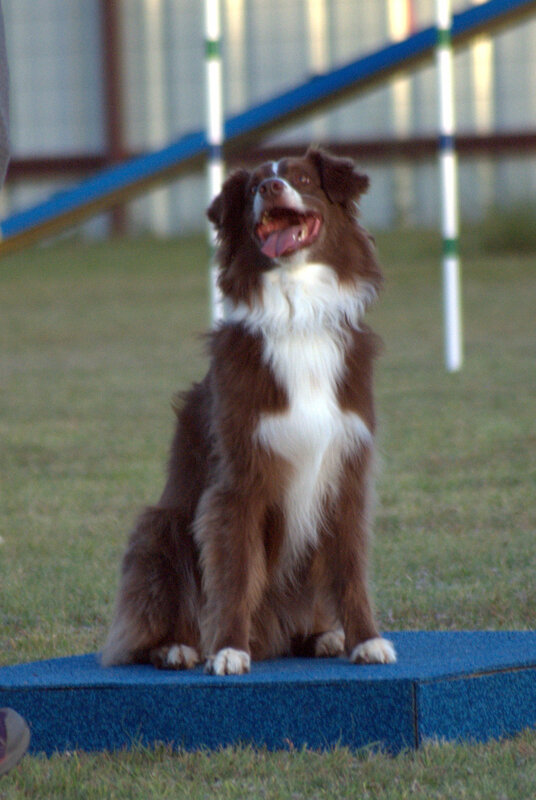 The dogs receive ribbons, titles, medals, and prizes just like any other venue. There are other competitors present, so you get to see your friends at VALOR trials too. Cowtown Dog Sports is proud to be an approved VALOR facility. 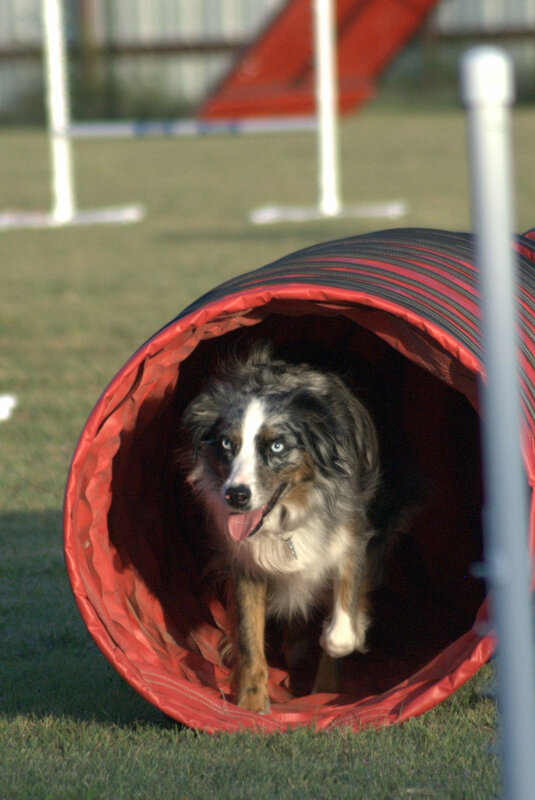 Some people think less of VALOR because it is video taped, but the courses are pretty challenging – some much more than what is at a typical AKC trial. I think of traditional trials as an in-class test in college and VALOR as having take-home tests. I remember that the take-home tests were MUCH harder than the ones taken in the classroom. At the end of the day, what is really important is the journey we have taken with our dogs – whether at traditional trials or video taped ones. No one who has lost their dog wishes they were still here so they could get MACH ##, but because they miss them and the journey they took together. The main things we really get from trials are those rewards we got from the journey while our dog was Daring Greatly – whatever that might be for that dog. Be sure to ‘Like’ Cowtown Dog Sports on Facebook!